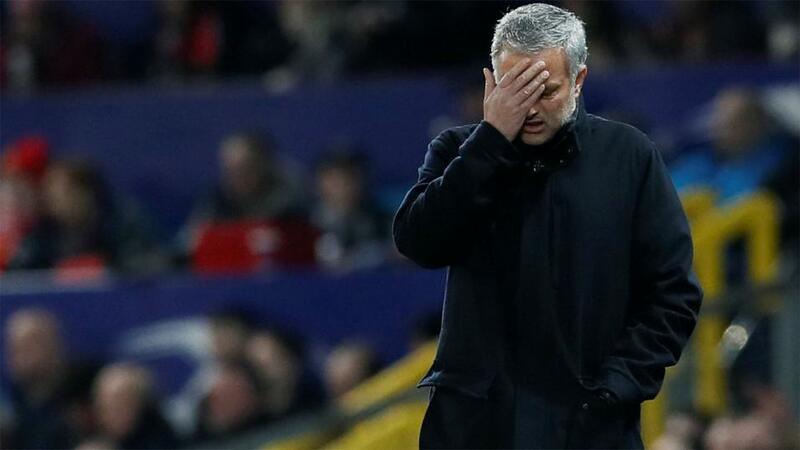 Premier League Sack Race: Jose gone by Christmas? Can Jose Mourinho stick it out until Christmas? 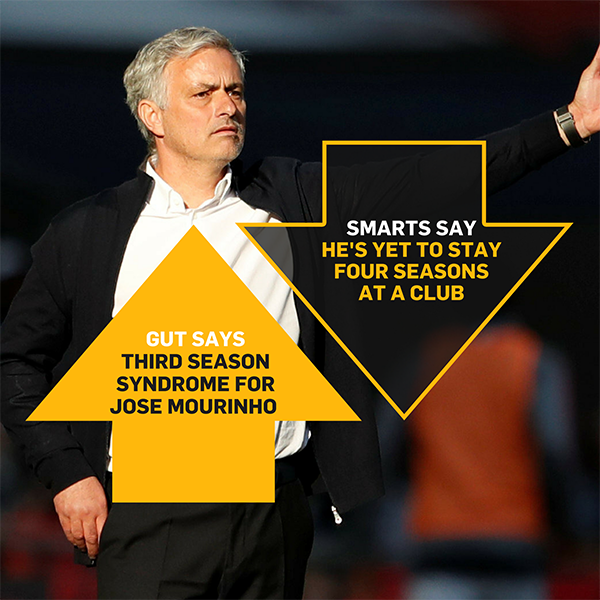 "As Jose Mourinho enters another third season with a different club, many are expecting it to go awry. He has never stayed at a club for more than three full seasons and the last year in each of those managerial spells have been the most turbulent." The build up to a season start is exciting. Usually, managers either settle in with their new recruits, perform somewhat decently in their friendlies and as a fan, you feel almost optimistic about the year ahead. This isn't always the case. There are teams that get ransacked for every talented player they have or if you're like Burnley and Tottenham, you have no new signings. Before you know it, your team is seven gameweeks in and you've not picked up a point or scored any goals. Remarkably for the latter, Crystal Palace sacked their then-manager Frank de Boer in September, brought Roy Hodgson in and pulled off the greatest escape. But what other teams are likely to lose their manager by Christmas Day 2018? 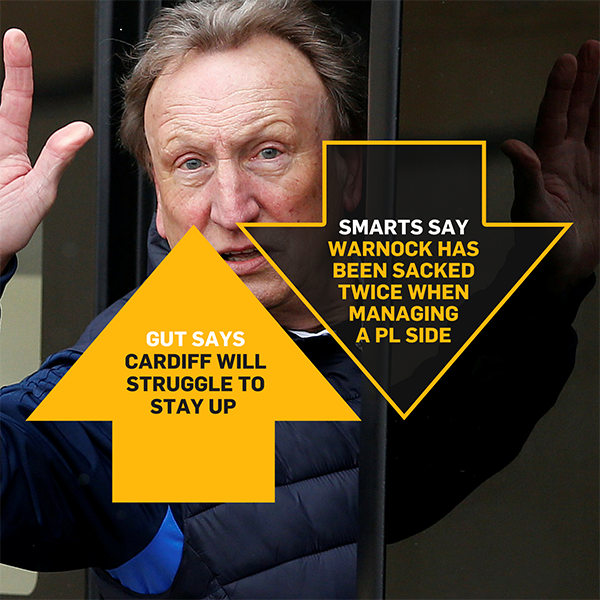 Neil Warnock unsurprisingly leads the way at 15/8 on Betfair Sportsbook. Under his first Premier League campain in 2006-07 with Sheffield United, he was relegated. His second outing in the top tier he was sacked in January, after a run of bad results had left QPR in 17th position. Third time the charm? Absolutely not, as he became the first League manager to be sacked in the 2014-15 season in December 27 after landing Crystal Palace in the drop zone. Board members have less patience to a decade ago and if Warnock produces the same results as he has in the past (which is entirely likely), he'll get the chop sharpish. Where to start with the Manchester United manager? Jose Mourinho turning on Anthony Martial, who is away from training because his wife was having their child, is one of the most bizarre but Mourinho-esque things that could have ever happened. There are other quotes and stories from the Red Devils' boss too, including "Look, do you want him to be very happy with the players he has around him?," on Alexis Sanchez, and we can't forget the Luke Shaw weightgate. Troubling pre-season tour results are getting under everybody's skin. Out of the four games, they've been mauled by Liverpool, drawn twice and the one win they have had came from a penalty shootout, from another draw. They face Real Madrid next and the market is already out on them at [4.4]. The frustrations are coming out quickly, as we are all used to with Mourinho, but if this is his attitude before the League has even started, what happens when they have their first draw against a bottom-half club at Old Trafford? As he enters another third season with a different club, many are expecting it to go awry. He has never stayed at a club for more than three full seasons and the last year in each of those managerial spells have been the most turbulent. If you take his second outing at Chelsea for example, winning the Premier League and then almost getting the team relegated the year after is unheard of; he was sacked December 17 2015 after leaving the Blues' 16th from seven defeats in 12. The Sportsbook is currently at 9/4 for Jose to leave before Christmas day 2018, and I don't expect that price to last. Claude Puel may be the unluckiest manager that I've chosen. After taking the Leicester City's ranks in 2017, replacing Craig Shakespeare, he managed to turn around a difficult run of form into finishing in the top-half of the table and making two cup quarter-finals. However, the Foxes can be ruthless and his Carabao Cup quarter-final team selection is still a bitter taste in some fans' mouths. Puel may also not have the team he had last year. Harry Maguire had a great World Cup and Manchester United have set their sights on him. Not to mention Riyad Mahrez, one of their best players, has left for Manchester City. It will be a big ask for them to be replaced, and perform the way they did in the second half of the season. It's easy to see them having another stuttered start to the season, the question is if the owner, Vichai Srivaddhanaprabha, will have the patience to keep Puel on. You can get 11/5 (Betfair Sportsbook) on him not to last.